REVIEW: Audiences take this poignant journey with director Michele Josue, learning who Matt Shepard was, a behind-the-headlines look at the young man gone too soon. 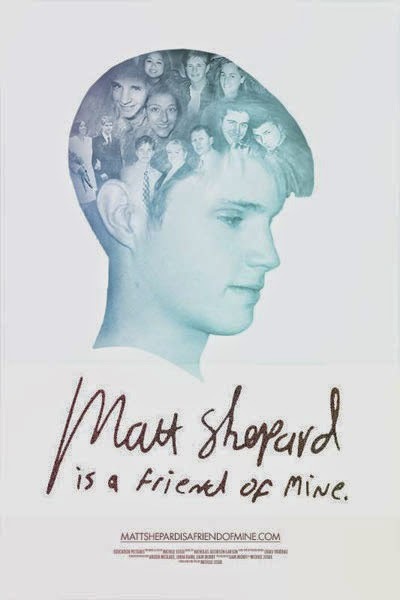 There is a reason top awards at this year's Cleveland International Film Festival went to "Matt Shepard is a Friend of Mine." The documentary was honored with the Roxanne T. Mueller Audience Choice Award for Best Film and the Greg Gund Memorial Standing Up Competition, during the closing night ceremony March 30. With 97,804 in attendance during the 12-day festival held in downtown Cleveland and 186 feature films, winning the audience award is a big deal. Festivalgoers rate each film they see and the most popular film receives the award. The standing up award is also audience voted. And the kudos are well deserved. Upon accepting the awards on the final night of the festival, director Michele Josue said she never wins awards and that she was grateful. This is Josue's first feature film and she wanted to make one that meant something to her. Josue was a childhood friend of the film's subject, Matthew Shepard. The well-done documentary chronicles the life of Shepard, whom the world met after his 1998 anti-gay beating and murder when he was a 21-year-old college student. The purpose of the film was to share his story and his humanity. "The world needs to know the real Matt so they don't let him go," Josue says in her narration at the beginning of the film. After the March 29 sold-out screening, Josue emphasized the title of the film is present tense. Her goal of the film, which took four years to make, was to show that Matt wasn't perfect and he wasn't a martyr. Throughout the film, Josue goes on an international journey to interview friends, teachers and those touched by Matt's life. His parents play the most important role in the movie, providing details of their son's life from birth to death and his ongoing legacy. They highlighted his love for theater, along with his gentle nature. The film has received the blessing from Matt's parents, who were at the Cleveland screening. The pair received a standing ovation even before the screening began. The interview conversations with the director can become quite emotional as memories surface and are relived — both happy and sad. Matt struggled with his identity as a young gay man, but also his place in the world. His teachers and mentors echo this struggle. The most enlightening and eye-opening interview in the film comes from a priest. Josue speaks to him about hate and forgiveness and his responses bring her to tears. This is a cathartic journey for Josue, one that took more than a decade to begin. Audiences also take this journey with her, learning who Matt was, a behind-the-headlines look at the young man gone too soon. Remember to bring the tissues. The response to the hate crime in media and Congress is also included, highlighting new legislation signed into law a year later by President Obama. Friends interviewed in the film reflected that they wanted to help and honor Matt and that his parents are not alone. The real Matt Shepard painted on the big screen is kind, gentle and loving. He touched many lives and 15 years later, his memory lives on, with a little help from his friends. This movie is a must see.